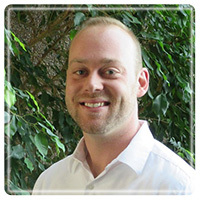 Fort Collins Therapist: Jacob Wilson - Therapist 80525. Send A Message To Jacob. Jacob Wilson, M.S., NCC understands how difficult it can be to be searching for help without any idea where to turn. He will work with you with kindness and understanding to hear your current difficulties and formulate a plan to make significant, measurable positive changes in your life. He brings a laid-back style combined with years of experience and knowledge of the most reliable counseling techniques. Call today to visit with him and schedule a free intake session at one of his Northern Colorado counseling offices. Seeking help takes courage; it means acknowledging that it is time for a change. Jacob will work with you to create a an atmosphere that is safe enough to nurture your inner strength, insight, and potential for growth. Counseling can help you heal from trauma and other emotional wounds so that you may embrace self-acceptance and unravel troublesome patterns to improve the quality of your life. Jacob works with individuals, couples, and adolescents in Fort Collins and the greater Northern Colorado area who are seeking counseling for a variety of reasons, including anxiety, depression, communication, conflict resolution, divorce, pre-marital counseling, sexual issues, addiction, parenting challenges, grief, stress, and adolescent issues. Taking the first step toward beginning counseling takes courage. Jacob offers a free consultation so that you can meet with him, discuss your individual needs, experience the counseling environment, and determine if counseling is right for you. Call today to discuss your specific situation and schedule your free initial consultation.